Barry has been very involved in his community, where he served on the Board of NL Association of Social Workers for one year, spent 20 years counselling people with mental health issues, and served 6 years as a commissioner with the Eastern Region Municipal Appeals Board. He was president of local 6234 and chief shop steward for over ten years, and served on the provincial executive of the PC Party as an area VP for 4 years. Barry has worked with the Government of Newfoundland and Labrador as Executive Assistant to the Minister of Transportation and Works from 2009 to 2014. 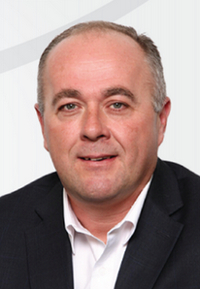 In the general election on November 30, 2015, Barry was elected to represent the people of Conception Bay South in the House of Assembly. On December 18, 2015, he was sworn in as a Member of the House of Assembly and also appointed by PC Opposition Leader Paul Davis to serve as a member of the Public Accounts Committee. Barry is the Official Opposition Critic for Transportation and Works, Advanced Education, Skills and Labour, Environment and Climate Change, and the Multi-Materials Stewardship Board.